A huge part of photography is not only when you’re capturing images but it what happens after you’ve captured those images. As photographers, we are storytellers but our books are filled with images. Each image is a second or fraction of a second that is captured in time to withstand time itself. With all these stories we have to tell, we need somewhere to store them away for safe keeping and future use. External Hard Drives could be considered a photographers best friend or even his photo library. When I was a beginner I didn’t really understand the importance of having an external hard drive and felt as if everything could be stored on my laptop and boy I was wrong. 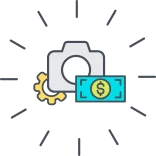 As I became wiser and transitioned into a professional photographer, I began to appreciate hard drives a lot more and understood why photographers and videographers cherished them so much as I do right now. In this article, we will be talking about some of the top external hard drives I recommend based on price, efficiency, and design. The Buffalo MiniStation is definitely not one of the most popular brands when it comes to external hard drives but from my experience with one, it does its part. It has a USB 3.0 port which in this day and age is slowly becoming outdated but still useful in some cases. 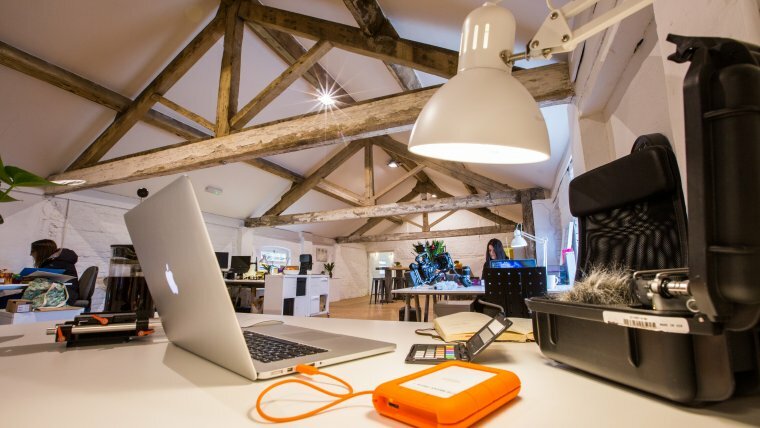 If you’re looking for something cost effective to store away your images for a while, this might be appealing to you. 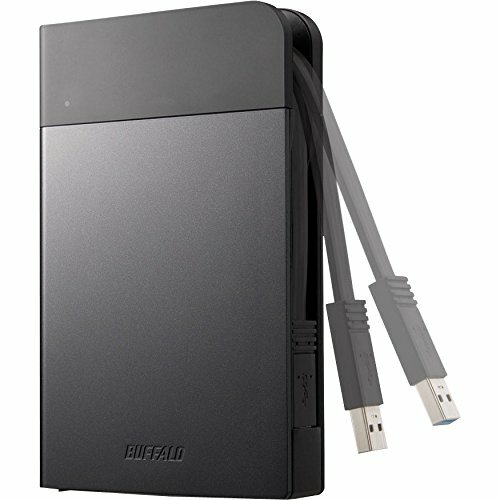 This external hard drive is compatible with both Mac and Windows devices. Upon purchase, you will also receive a case that is a bit rugged and helps to protect against dust and water. This will give you a sense of reassurance that your data is protected from any knocks or bumps during transit or day to day usage. Speaking of protected, this hard drive also has a 256-bit AES security feature and NFC (Near Field Communication) as well. What this basically means is that you can easily access your files by tapping an NFC card which is supplied on the drive’s body. You can find this hard drive on Amazon for an exceptionally reasonable price that won’t break the bank. This is one of the more popular brands that is pretty much known by everyone as soon as you become interested in hard drives. Rightfully so, it stands up to its popularity in reliability and capacity. 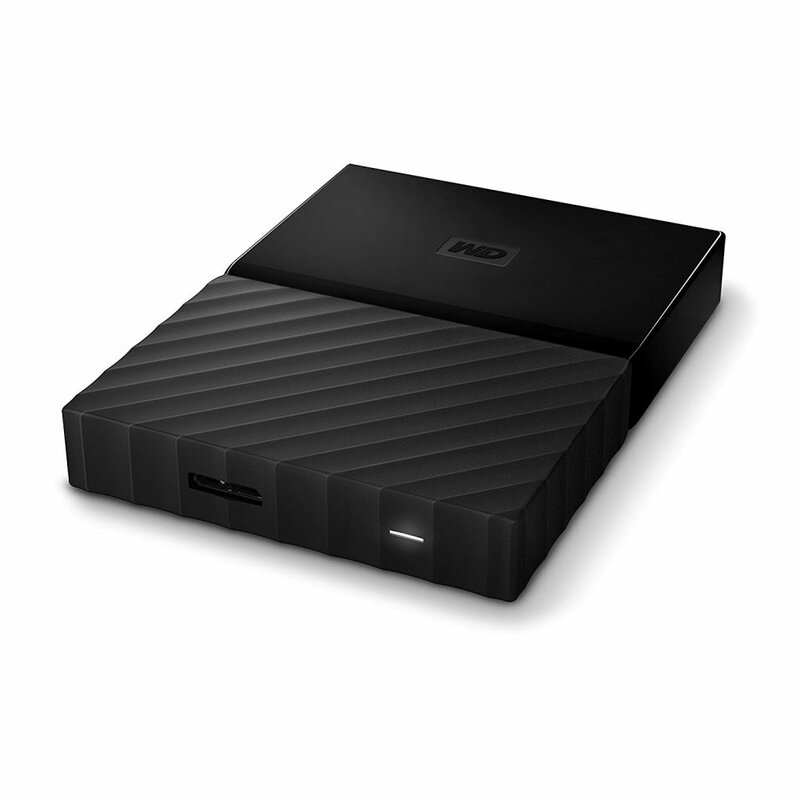 Not to mention, western digital has some pretty sleek and neat designs for their external hard drives which I do find appealing or aesthetically pleasing. The Western Digital brand has to exceed some of my personal expectations and probably some of yours as well with regards to data transfer. In my experience of using hard drives on the go, I can testify that data transfer is a key element when it comes to purchasing a hard drive. With Western Digital I can assure you that the transfer speeds are great. Of course, this can be subjective to what you’re transferring in regards to file size but nonetheless, Its still good. The Western Digital My Passport is equipt with its own backup software and 256-AES encryption. The backup software is a little basic but nothing that would really annoy you or hinder your workflow. 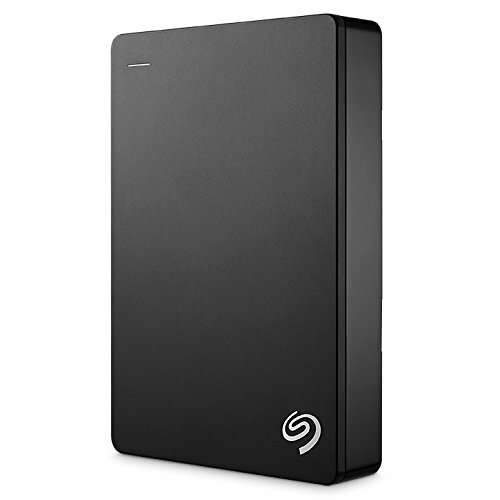 It is reasonably priced based on the capacity of your choice, ranging from 1TB and up. This is another hard drive that I have noticed to not be so popular in the photography and videography industry for a few reasons. One of these reasons is the price of this hard drive is ridiculous but it does have a few things to offer. The Samsung T5 uses a USB type-C port which has been becoming more popular among different companies or brands. It is very compact is can probably fit in the palm of your hands with ease. 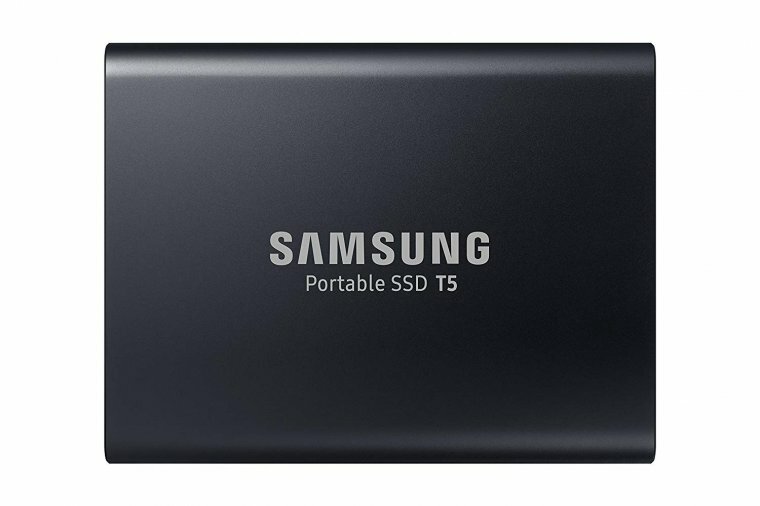 Samsung has made this hard drive available in capacities from 250GB up to a maximum of 2TB. If you’re into videography and capture film very often then a 2TB hard drive might not be appealing to you. However, if you’re a photographer who shot’s moderately and not too often then this hard drive might be appealing to you. The transfer speed is incredible and will be an asset when you’re on the go or even in a rush to dump some content on it when in a rush. As I said, the price tag on this hard drive might put a dent in your pocket but in my experience, its worth it. Seagate actually won my heart with this one as it is currently my main back up hard drive at home. This hard drive comes in a whopping 5TB capacity and is perfect for your workspace at home when editing photo or videos. It’s transfer speeds is also amazing along with its reliability. It has an old-school USB 3.0 interface but, don’t let the old school interface distract you from its capabilities. Seagate has built a reputation over the years of having a very low failure rate and continues to live up to this standard. This hard drive is definitely worth the look and in my opinion, it is also worth the money. Having a fast and reliable hard drive at home is an asset and you can never go wrong with having one. Michael Moodie is a Freelance Photographer and Photojournalist. He Enjoys Lifestyle Photography and Traveling while doing all things creative!